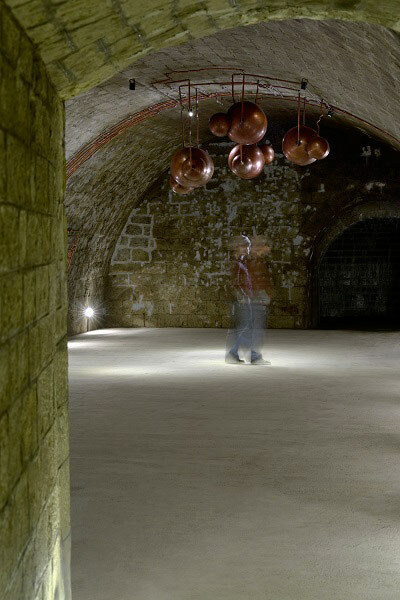 The MEMBORIAN is a resonator, placed in a winery, which produces audial experiences from memories, resonations, and desires which we call memboriation. 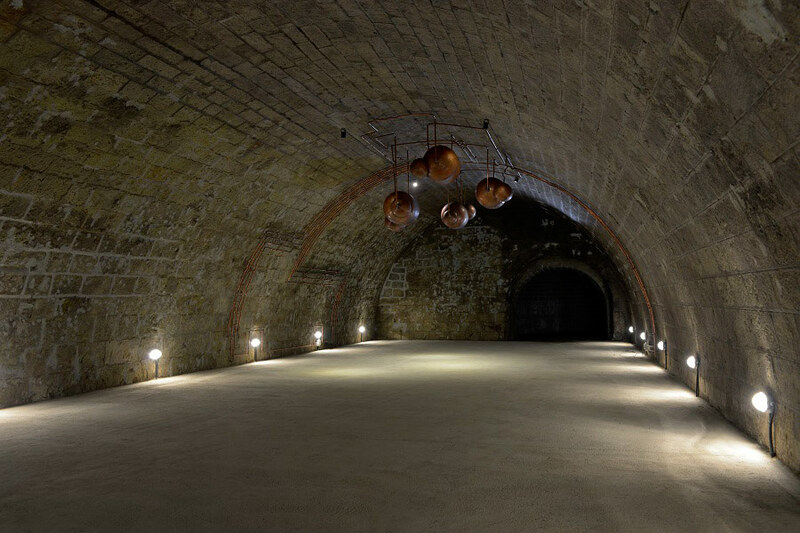 Such as the making of a good wine, this process is based on the circulation of water. 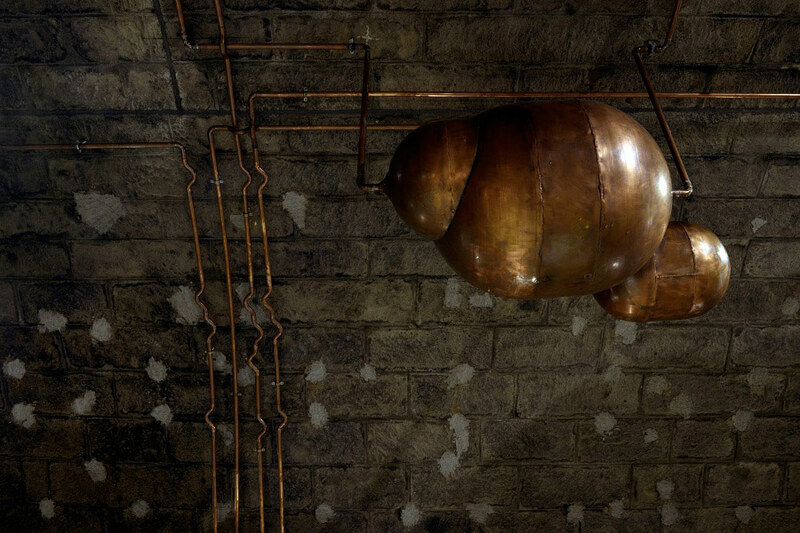 The installation consists of four organically shaped clouds made of copper and a detailed piping system. 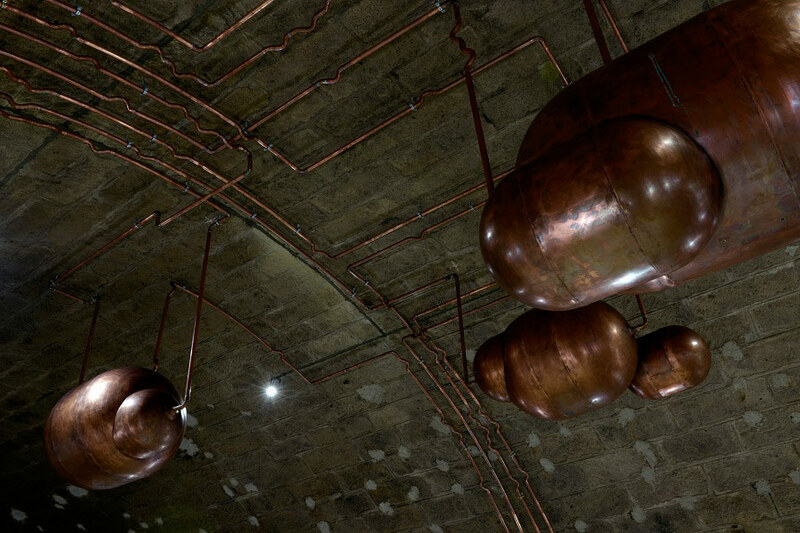 The pipes have structural importance, besides, they serve as the graphic visualization of the falling rain and sound waves. 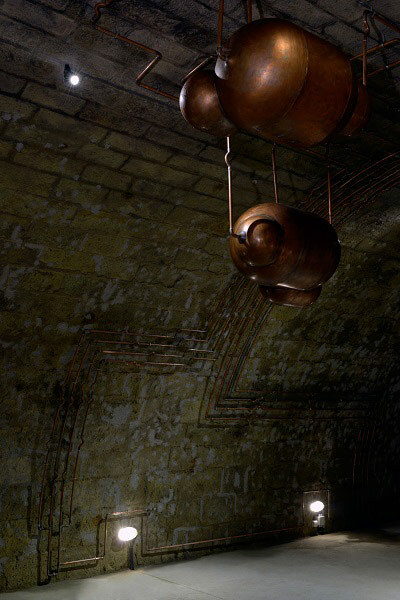 Two of the three branches serve as the carrier of the circulating water, and one holds the cables for the electronics. 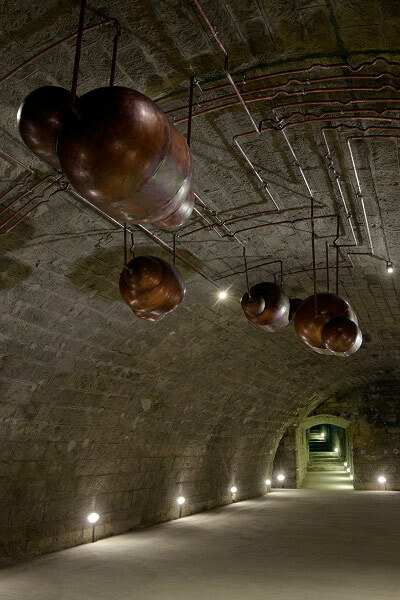 Besides, during the presence of visitors, the clouds produce sounds which were recorded in the original environment of the winery. 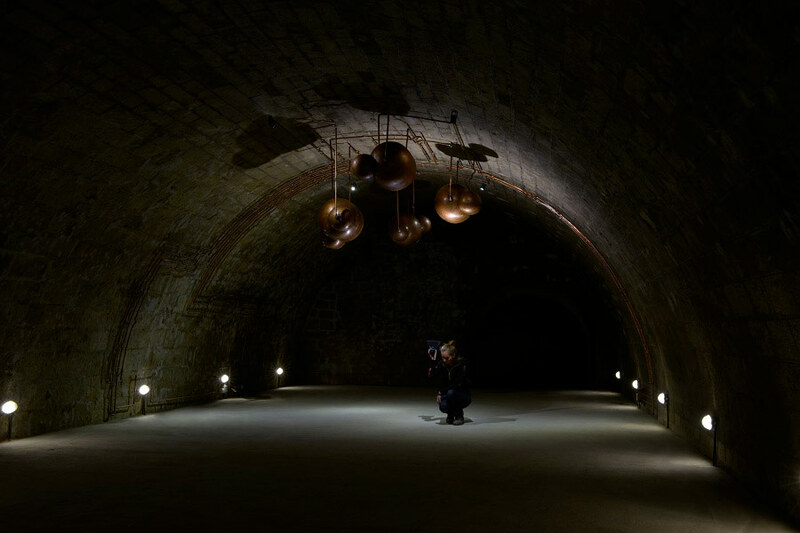 Therefore, MEMBORIAN represents the actual surroundings and features of the wine-making process, and offers an essential experience equal to the taste of wine.